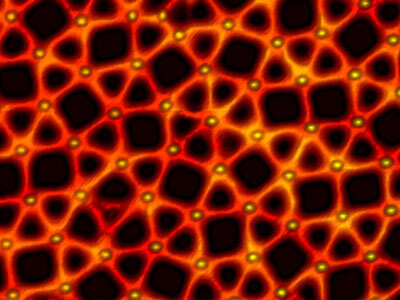 (Nanowerk News) Unlike classical crystals, quasicrystals do not comprise periodic units, even though they do have a superordinate structure. The formation of the fascinating mosaics that they produce is barely understood. 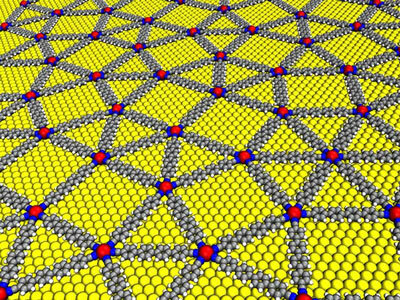 In the context of an international collaborative effort, researchers at the Technical University of Munich (TUM) have now presented a methodology that allows the production of two-dimensional quasicrystals from metal organic networks, opening the door to the development of promising new materials. Now a group of scientists led by Wilhelm Auwärter and Johannes Barth, both professors in the Department of Surface Physics at TU Munich, in collaboration with Hong Kong University of Science and Technology (HKUST, Prof. Nian Lin, et al) and the Spanish research institute IMDEA Nanoscience (Dr. David Ecija), have developed a new basis for producing two-dimensional quasicrystals, which might bring them a good deal closer to understanding these peculiar patterns (Nature Chemistry, "Quasicrystallinity expressed in two-dimensional coordination networks").